News posted by Matt on December 31, 2009 . Okay, not yet – but I hope to be tomorrow morning. A couple of months ago I picked up a couple of hard shell sea kayaks from the base MWR auction and have been dying to try them out ever since. 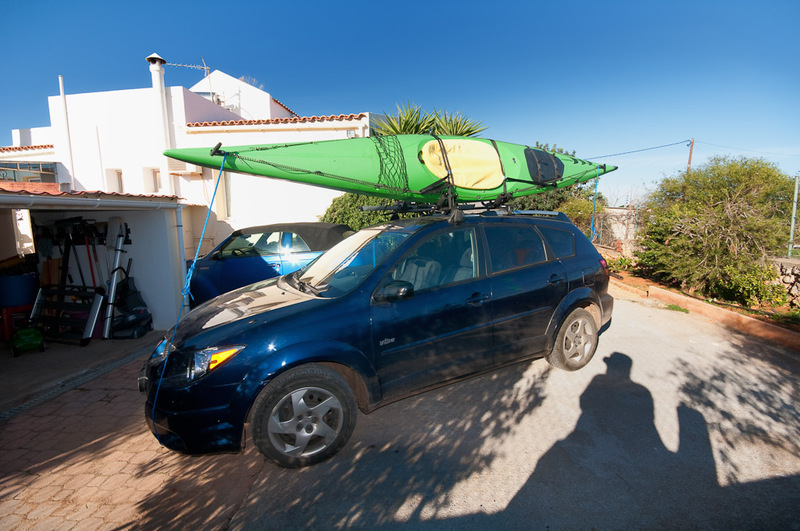 Well, today I have the kayak loaded up on the car, have my wetsuit and other cold weather kayaking gear ready (though with today being 74 degrees, not sure I really need it), and am all ready to hit the water bright and early in the morning. I’m pretty sure with tonight being New Year’s Eve I will have the water all to myself. 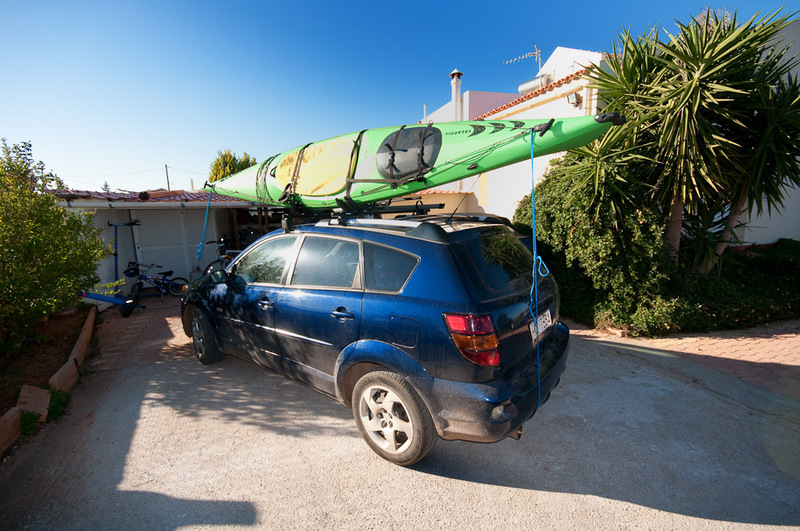 Translation – since this is the first time I am trying out the sit-inside kayaks, I might end up in the water a few times trying to get in. So tomorrow is a good day to be without witnesses! 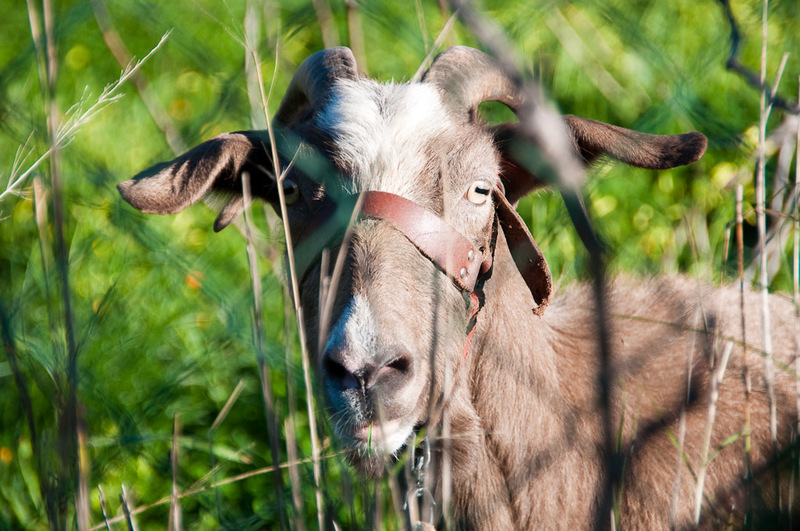 * Oh – and it just wouldn’t be Greece without a picture of one of our neighbor’s goats watching me load up the kayak! Hey – I think you need to wash Ginger’s car! And I recognize the goat! How’s the donkey? No way; the weather’s way too windy and wet right now to do any car washing! That’s my story and I’m sticking to it! © 2019 Just Us Barkers. All Rights Reserved.